Do you like making lists of things to do, but then end up failing to accomplish the items you’ve laid out? 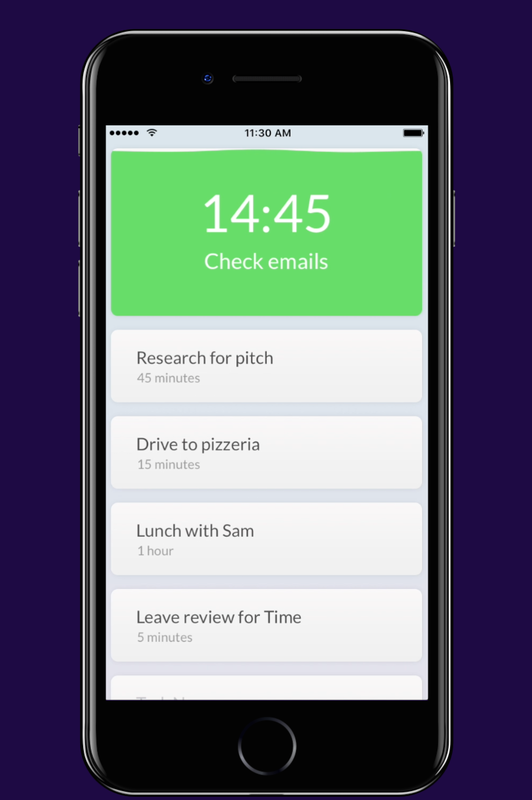 A new application aimed at those with a tendency towards procrastination can help. 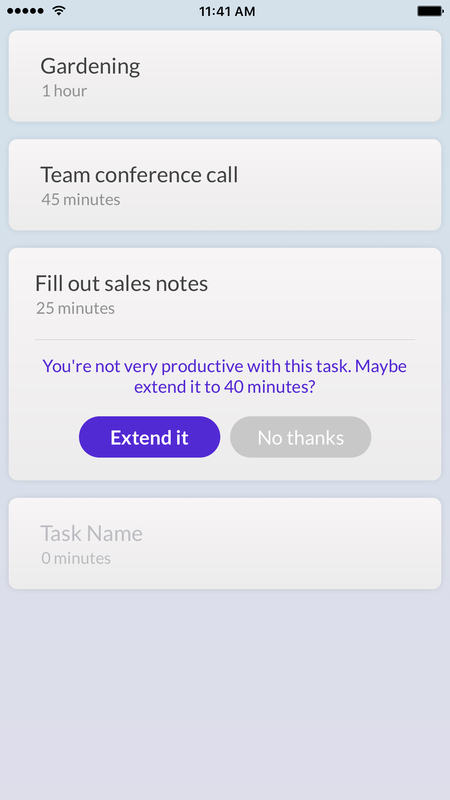 Instead of a simple checklist or time tracker, Time, as the app is called, lets you more obsessively micro-manage the tasks at hand with a color-coded timer that changes from green to yellow to red as the allotted time for the given item runs out. Of course, there are already a number of time trackers, to do lists, and reminder apps on today’s App Store, but Time is more focused on helping you accomplish your goals rather than just checking something off a list or logging your activities. With its clean, easy-to-understand interface – and no requirement to first create an account – you can start using Time as soon as you download it from the App Store. The app doesn’t appear very complex at first glance, though it hides a bit of AI technology behind the scenes. To use Time, you enter in the item you need to do and the time it will take. To start the countdown, you tap on the task in your list. The timer then begins, set against a green background. The “water level” slowly drops as time elapses, and changes to yellow then red. If you end up needing more time to complete the item, you can pull down on the task to give yourself a few more minutes. Or you can pull it all the way down to mark it as done. By adding this bit of pressure to finish what you’re doing, Time can be effective at helping you get your work done – well…if you’re motivated enough to continue using the app, that is. The more you use Time, the smarter it becomes, too. A summary view will show you what you’ve done, while Time’s AI technology will offer you productivity suggestions based on your prior usage. The AI kicks in after you use Time to complete a specific task a few times. Its algorithms use linguistic recognition to tie task names together, even if they’re not written the same. For example, “code app” and “work on app” would be understood to be the same item. If you were always falling short of your goals, time-wise, the app may suggest you add a certain number of extra minutes to the task next time. Version 2Despite its work-centric focus, Time – remarkably – was built by teenagers. 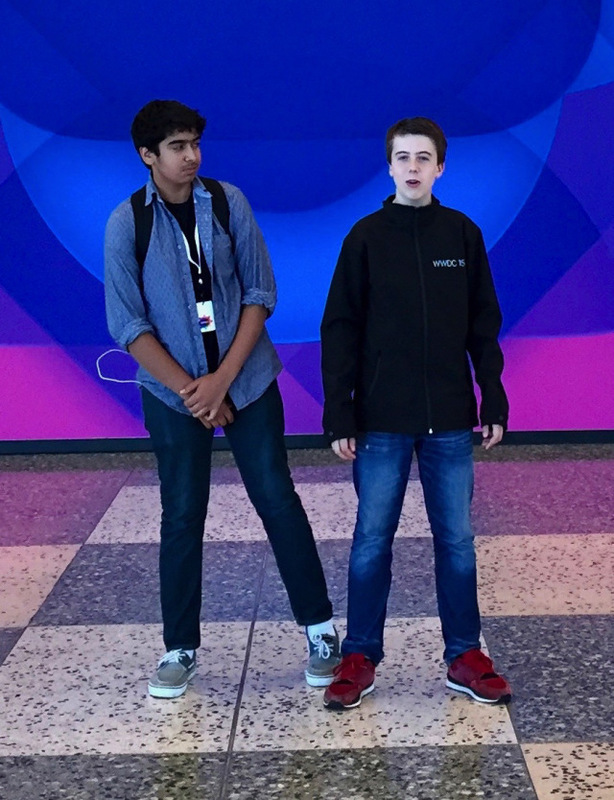 Repeat WWDC scholarship winners, Shaan Singh, age 17, and Erik van der Plas, age 15, first met at Apple’s Worldwide Developer Conference in 2014, then got together again the following year. “I told Erik about an idea I had. Just like he did, I noticed that people often have trouble staying focused on their work,” explains Singh. “We came up with a solution dubbed Time. Our goal for Time was to have it learn from your habits using artificial intelligence and to suggest changes to your schedule if necessary. I remember thinking, ‘even if no one downloads this, I know I need it!’,” he says. A week after its launch, Time is ranking in the top spot on App Store search for the keyword “time,” and briefly hit the top 50 in the Paid Productivity category on the U.S. App Store, according to data from App Annie. But given its niche appeal and 99-cent price point, the market for an app like this will probably remain small. Still, a simple and straightforward app is sometimes just what you need, and on that front, Time delivers.